Dennis Allen frequently speaks about all of the genealogical information he finds in old newspapers housed in the Harold B. Lee Library at BYU. These wonderful resources are often overlooked by family history researchers because they aren't necessarily stored adjacent to the family history section in libraries. The next time you visit a library to do research, be sure to take a list of birth, marriage and death dates with you. See if you can find mention of your family in old newspapers in the weeks that correspond with the dates on your list. Obituaries are especially full of family data that would typically take many hours to find otherwise. 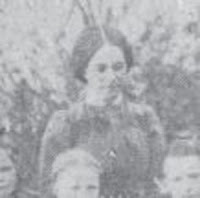 Recently, I found a photo of my great grandaunt in an old newspaper article that was written when she was a school teacher in Bingham Canyon, Utah. I have almost all of the letters that her father wrote to her during that two year period as a single school 'marm' living in Bingham, so seeing her photo was especially interesting. The site certainly isn't all inclusive, but the links listed on it will get you started in your digital newspaper search. You'll also want to add these sites to your list.. California Newspaper Project and Ohio Digital Newspapers. Search the web for more digital newspaper sites and share their site addresses with the rest of us. Some of us have ancestors and family buried in Australia. I recently found a site called Australian Cemetery Geolocations that gives the latitude and longitude of most of the cemeteries in Australia along with a link to a map that shows the cemetery. The site has been especially useful to me. Hopefully, you'll benefit from the data too. Lastly, I created a genealogy related Links page on one of my sites. There may be a link on it that is useful to you in your own research efforts.